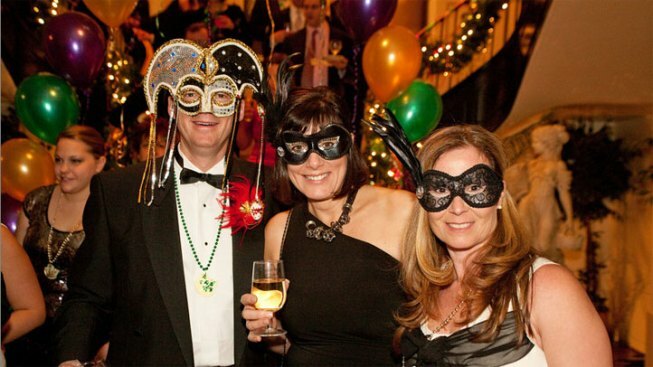 Celebrate Fat Tuesday in San Francisco. Let the good times roll. Laissez les bons temps rouler. No matter how you say it, today is Fat Tuesday, a day of garish celebration. In San Francisco's Fillmore District, celebrants will mark Mardi Gras with music and dancing as part of the third annual "Fat Tuesday in the Fillmore" festival. The outdoor event will feature stilt walkers, jugglers and face painters, as well as free live jazz music by the legendary Bobbie Webb and the Smooth Blues Crew, and dancing in Fillmore Center Plaza. Fat Tuesday grew from the practice of indulging in rich foods and extravagance on the last night before Ash Wednesday, the start of Lent in the Christian calendar, which is marked by ritual fasting. There will be no shortage of decadent foods tonight, with several Fillmore Street restaurants and clubs--including Gussie's Chicken and Waffles and Rassela's Jazz Club--joining in on the festivities by offering discounts, drink specials, live music and free Mardi Gras beads until midnight. Meaghan Mitchell, a representative for the event, said that what started off as a small gathering has grown into "a huge success"--both for local businesses and the community overall. "Last year the streets were packed," Mitchell said. She estimated that there were hundreds of revelers in the street in addition to those who flocked to participating businesses. "There were a lot of people out," she said. Organizers are trying to recreate the feel of New Orleans--the best-known city for Mardi Gras celebrations, Mitchell said. "So when people come, they can expect to hear live music and to taste New Orleans items on the menu at participating restaurants," she said. Unlike the French Quarter festivities, which can be too risque for children, the free portion of the Fillmore celebrations are family friendly, according to Mitchell. "Not to get it confused with the actual French Quarter, you don't have people lifting up shirts for beads," she said. The Fillmore festival itself, which runs from 5 p.m. to 7 p.m. on Fillmore Street between Eddy Street and Geary Boulevard, is free of charge and open to the public. The food and drink discounts are available to those who purchase a "Fat Tuesday in the Fillmore" wristband, which can be bought ahead of time here. A portion of the proceeds will benefit the San Francisco Jazz Heritage Center. "We want to make sure that those door stay open," Mitchell said.